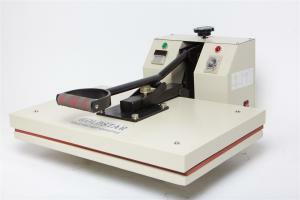 GoldStarTool.com offers heavy duty, commercial-grade heat transfer machines for all your images, graphics and logo design needs. 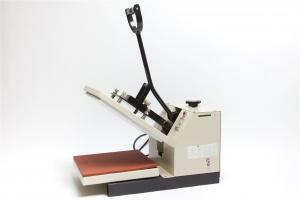 If you’re a t-shirt printer or manufacturer of goods for distribution online, you probably know the value of a high quality heat press machine. Perhaps you’ve compromised quality and paid the price. While some heat presses advertise themselves as easy-to-use and are available at rock-bottom prices, they usually produce shoddy work. We've all seen t-shirts flake after one wash or graphic print canvas bags with long, deep creases that ruin the illusion. This is why quality matters when it comes to heat transfer products. 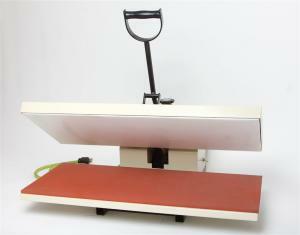 Our heat press machines are incredibly reliable, with even heating distribution and top notch electrical components, it will ensure that the image will set nicely into t-shirts, jerseys, tote bags, sports equipment, mouse pads, promotional items, ID badges, jigsaw puzzles, and practically anything you can imagine. Our heavy duty heat transfer machines are a great deal and SHIPPED FREE in the U.S. and come with a Lifetime Limited Warranty. Feel free to contact us for more information. 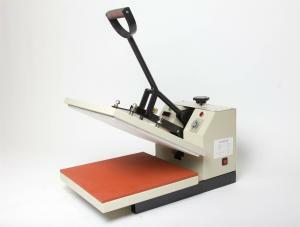 Heat Transfer Machine 12" x 12"
Heat Transfer Machine 15" x 15"
Heat Transfer Machine 32" x 12"